Skip Gorman, mandolin, fiddle, guitar and all round cowboy singer and raconteur will be the featured international act for the inaugural CluneyTunes Festival set for 23rd to 25th Sep 2016 in Clunes Victoria. Skip Gorman, it is said, will charm, delight and amaze with his extraordinary musicianship and vocal style steeped in the rich history of the cowboy and pioneer. He can deliver the saddest song, filled with pathos, about the dying boy on the ‘Lone Prairie’ that will have you in tears and a few minutes later, laughing so hard you’ll cry. Through his music, Skip Gorman brings back to life the workaday world of the cowboys of the American West. His music is not the music of the Hollywood cowboy, but rather the simple, yet beautifully poignant music that was performed around campfires by cowboys and westward settlers in the 19th century. 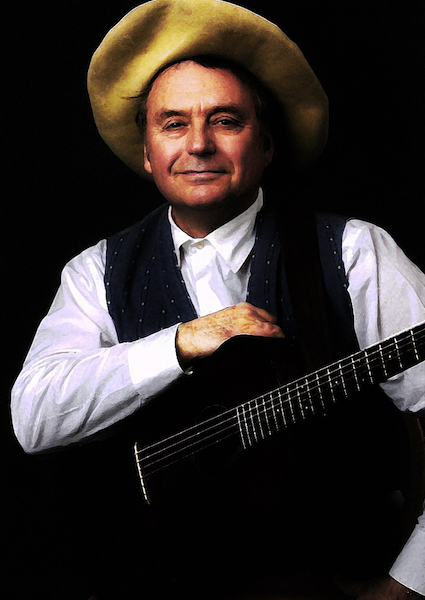 Gorman brings to the music a scholar’s knowledge of the cowboy’s Celtic, Spanish and Afro-American roots as well as the personal experience gained by working as a cowboy on a ranch in Wyoming, along with an exquisite touch as a singer, guitarist, fiddler and mandolinist. Whether solo or with his old-time cowboy band, The Waddie Pals, Skip takes the music from one of the most romanticized periods of American history-the days of the cattle drives and westward expansion-strips away the Hollywood glitz and Nashville affectations, and shows us the beauty of the music as it was sung and played along emigrant trails and in cow camps over a hundred years ago in the American West. Skip Gorman is also an acclaimed Bill Monroe-style mandolinist and a fine old-timey American and Celtic-style fiddler. Gorman has performed on Garrison Keillor’s A Prairie Home Companion, at bluegrass festivals, cowboy gatherings and at folk venues and Celtic music festivals throughout the US and Europe. He also frequently presents programs and concerts at schools and museums, educating and entertaining while playing period instruments. Documentary filmmaker, Ken Burns, has featured Skip’s music in Lewis and Clark, Baseball, Dust Bowl Days and National Parks. Skip Gorman has released sixteen recordings on the Old West, on Rounder and Folk Legacy labels. He is featured on many others. There are many other Australian artists set to perform over the festival weekend including, Shane Howard Trio, Pete Denahy, Hardrive Bluegrass Band, Davidson Brothers, Saoirse, Nick Charles, Pete Fidler, Paul Wookey, Peter Daffy Band and more.